The former chief operating officer (COO) of The Weinstein Company (TWC) has teamed up with a group of financiers to launch global entertainment outfit 101 Studios and has already secured US$300m to invest in film and TV. 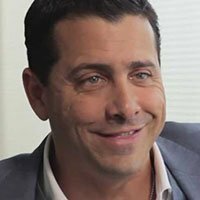 David Glasser will serve as CEO of 101 Studios, which has also been backed by billionaire investor Ron Burkle, Bob Yari, Marvin Peart, Dan Schryer and East West Bank. The new shingle is using its funds to finance and produce a reported six to eight television series which it currently has in development, alongside four to six films. 101 Studios has also closed a US$28.5m television deal with Viacom for the first and second seasons of Yellowstone, the premium western drama starring Kevin Costner. The company is on the look-out for further acquisitions. Glasser is joined at the firm by entertainment finance veteran and fellow TWC alum David Hutkin, who will serve as COO. Glasser was ousted from the now liquidated TWC last year, while serving as interim president during the attempted sale of the company following the downfall of disgraced former chief Harvey Weinstein. The exec was forced out of the firm over accusations – which he denies – that he protected Weinstein, who has been accused of sexual misconduct by a large number of women over many years.